Rotherham United returned to the Championship at the end of last season but after just a season away things regarding TV games have changed. Last time the Millers graced the second tier of the English Leagues you could only watch your team in league action when they’d been chosen for a live match on Sky TV or BT Sports. 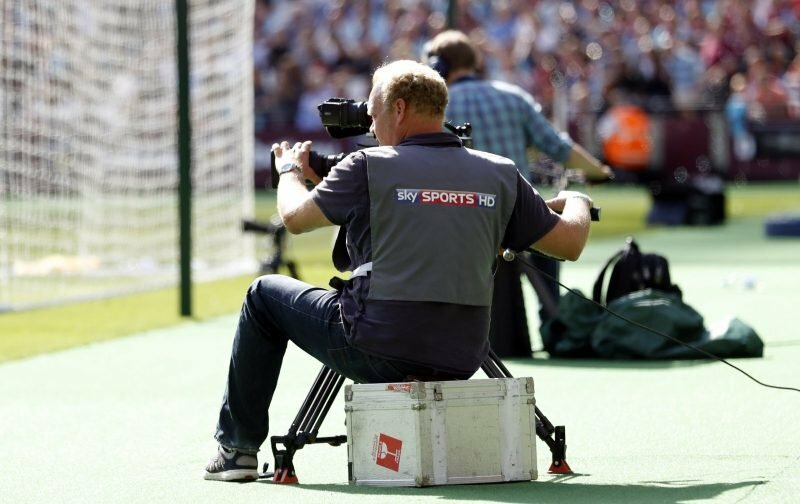 But, from this season, fans who subscribe to Sky Sports can now tune in to watch when their team are playing, as long as it’s not a 3pm kick-off on a Saturday, via the ‘red button’. Which, if you are unable to get to matches due to finance reasons or illness, is a good thing. But I have wondered if, eventually, watching live on the red button could stop people going to games at all which for the smaller clubs in the league, like Rotherham, could be quite devastating. No ticket money, no money spent at the food kiosks, less programmes sold, less ‘fifty-fifty’ tickets sold plus the atmosphere with less people in the stadium could (and I say ‘could’) have an affect on the players. Obviously clubs do get money from their televised games and this will go up next season when a new five year deal is said to be going to be put in place. But an article in The Sun this week says that some clubs in the Championship are unhappy with the deal and are wanting double the amount on offer – and if they don’t get what they want are actually threatening to break away from the EFL. It’s understood that Derby County, Leeds United and Aston Villa are amongst what is thought to be fifteen clubs in the Championship who believe that they could get a better deal elsewhere with the EFL giving them until 4pm next Monday to think about what they are doing while one football Chairman called those fifteen clubs ‘bullies’ saying that they weren’t interested in the wider good of football clubs only about themselves. Well, that might be right in one way but how would that Chairman feel if the TV companies carry on like this and his crowds dwindle – especially on a cold Tuesday night in the winter months? Or are these clubs being greedy? Should they be allowed to ‘speak’ for all the clubs? Bit of a dilemma isn’t it?